Last year, our partner charity at InterQuest was Tomorrow’s People, a charity dedicated to improving social mobility for people between the ages of 16-24. The work they had been doing was incredible. Tomorrow’s People ran bespoke programmes for people classed as NEET (not in employment, education or training) to give them the skills, and more importantly the confidence to not only find employment, but to maintain it. They unfortunately had to close due to lack of funding earlier this year, and it was one of the most disappointing and frustrating days of my career. Whilst I don’t know the ins and outs of the closure, I couldn’t help but feel angry about disadvantages that not only young people face, when it comes to social mobility. What I have been really pleased to hear, is that IT as a profession presents opportunity for social mobility. In fact, 75% of people in the IT profession have experienced upward social mobility when compared with their parents’ class. What do I mean by Social Mobility? Social mobility is defined as the movement of individuals, families, households, or other categories of people within or between social strata in a society. It is a change in social status relative to one's current social location within a given society. Put simply, the outcome of true Social Mobility would mean everyone having the same chance at the same success. Britain as with many others, is a divided nation in a number of forms, including class, race, gender, income…the list goes on. The BCS Diversity in IT 2017 report showed that by taking a balanced approach to diversity can narrow the IT and Digital skills gap. Statistics show there is a gap in the representation from certain ‘social minorities’ in the UK in IT. Most recently and almost notoriously noted has of course been the gender pay gap, highlighting the lack of mobility for women when compared with men. Herein lies the opportunity to maximise talent and improve social mobility. ‘A young person from a less advantaged background will find a career path more open to them in IT than some of the longer-established professions’. The future of work will require digitally led skills as part of 90% of roles within the next 20 years. With this in mind, along with the notion of upward social mobility when working within the IT profession, we must start to see education around social mobility built into IT subjects in schools. By supporting a greater breath of individuals moving into an IT / digital lead profession will result in a fairer sharing of wealth throughout our economy. 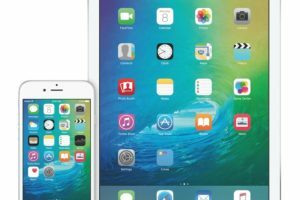 The Royal Society’s report on computing education in UK schools stipulates that ‘computing education across the UK is patchy and fragile. Its future development and sustainability depend on swift and coordinated action by governments, industry, and non-profit organisations. Neglecting the opportunities to act would risk damaging both the education of future generations and our economic prosperity as a nation. Not only would an improvement in social mobility increase prosperity, but also empowerment for under-represented groups. With a ‘patchy and fragile’ education structure around IT in the UK, how can we overcome the gap to enable social mobility? BIS (the Department for Business Innovation and skills) published ‘The Returns to higher Educational Qualifications’ report, which stated that those with a degree in computer science tend to give higher levels of financial return. The return is, however higher following a degree in medicine or law. These degrees, however, will be more expensive to undergo. There are also fewer barriers to enrolling into a degree in IT, namely more flexible A-level results. There is also a huge promise in Digital Apprenticeships. Apprenticeships have the benefit of not only providing the qualification, but also delivering practical experience whilst being paid, opening the industry up further to new talent from a variety of social backgrounds. IT, however should not be exclusively available through these two routes, and so it is essential that channels are opened particularly for those without access to the above opportunities. Education around social mobility and the opportunities in the digital work place is critical now more than ever. What can the recruitment industry do? The recruitment industry is estimated to be worth £32.2 billion (REC). The industry is in a privileged position to really have an impact on social mobility, but also has a duty. In Digital Transformation, we are working in a candidate short industry, where untapped talent goes missed every day, whether this be from emerging pupils, or those that may be overlooked because they have taken time out to have children, to those deemed to be too ‘set in their ways’. We should be using our industry knowledge and contacts to work with schools and colleges to not only raise awareness of opportunities to break into the industry, but also to develop programmes for individuals to close the social divide and maximise the opportunity for social mobility in the IT profession. This was one of the main reasons our partnership with Tomorrow’s People was so valuable, and why it’s a travesty that they ceased. The future is bright, but we all have a role to play for social mobility to become a reality. Every aspect of lives is becoming digitised, and whilst the robots are taking over some of our jobs, they are also generating the need for ample new opportunities from coders to animators and everything in between. I would take a guess that most people out there want everyone to have the same opportunity at being successful but this cannot happen unless businesses, people, politicians and schools act now to ensure these opportunities in our quickly evolving world are harnessed for everyone, not just those on one side of a divide. 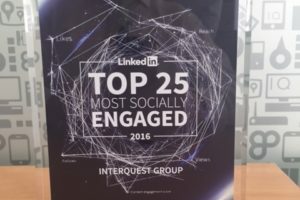 If you would like to discuss how InterQuest is working to contribute to social mobility, then please contact me on Georgia.chuter@interquestgroup.com or through LinkedIn here.